Imagine the following scenario: You have a couple of thousand emails, each containing a pdf file and you have to print all of them. Nightmare, I know. Most people would select each email, open the attachment and print it, right? 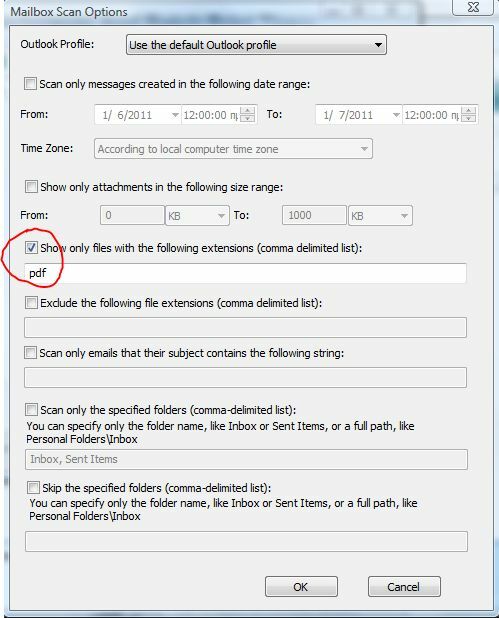 Today I will show you how to save multiple Outlook attachments and how to batch print them, provided they are pdfs. There are other solutions too, for other type of files and perhaps someone might have a better approach. If so, I would like to hear about it in the comments. Adobe Acrobat. Mind you, I am not talking about Reader! 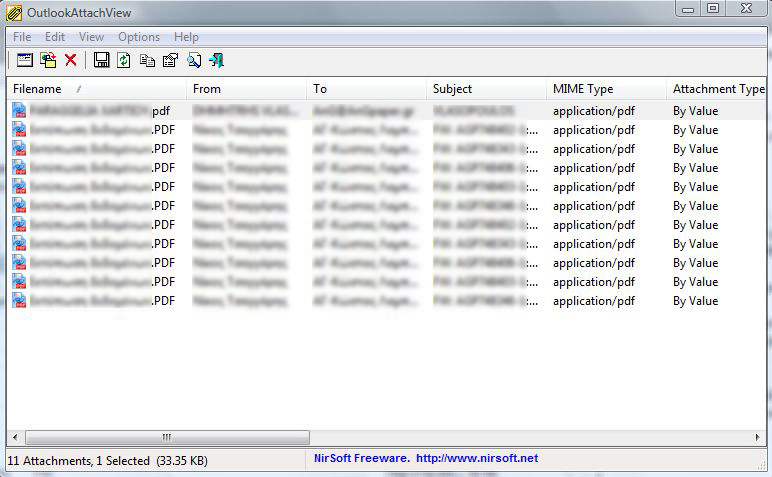 This is the Adobe solution for creating pdfs, it is rather expensive and I am sure there might be alternatives to that. However, I happened to have it available, so I used it. Again, I am interested in other approaches in the comments. A few seconds later, you will be shown a list of the attachments that were found. Select all the pdfs you want to save and press the second icon from the toolbar (or F4). Select the folder where you want them to be saved and press OK. Note that there are quite a few naming options in case you want to include time of creation, date etc, but for most of you, selecting the folder and pressing OK should be sufficient. All of your attachments should now be in the folder you chose. Time to open Acrobat. 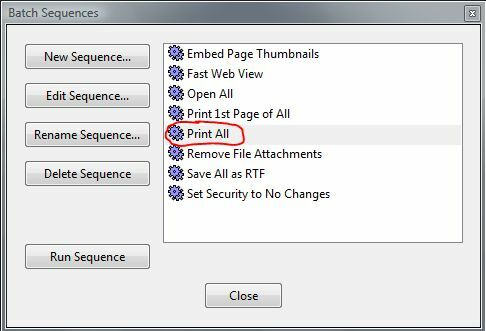 Select “Print All” and click on “Run Sequence”. You will be prompted to select the files to be processed, so point Acrobat to the folder where you saved your pdfs, select all of them (ctrl+A) and press OK. The files will start printing on your default printer. Please note that you will not be able to change any print parameters, so you might want to check them before. PS: You might want to try something else before resolving to a program such as Acrobat. Go to the folder where you saved your pfd files, select those you want to print (or all of them), right click and select “Print”. In my case some files would not print properly, so I decided to go with the Acrobat solution.